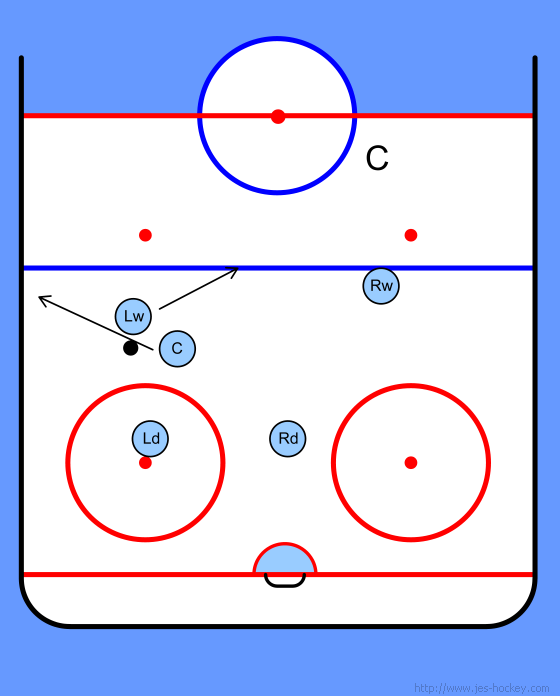 - The puck is dumped into the corner, by the coach. - Defenseman passes the puck behind the net to other defenseman. 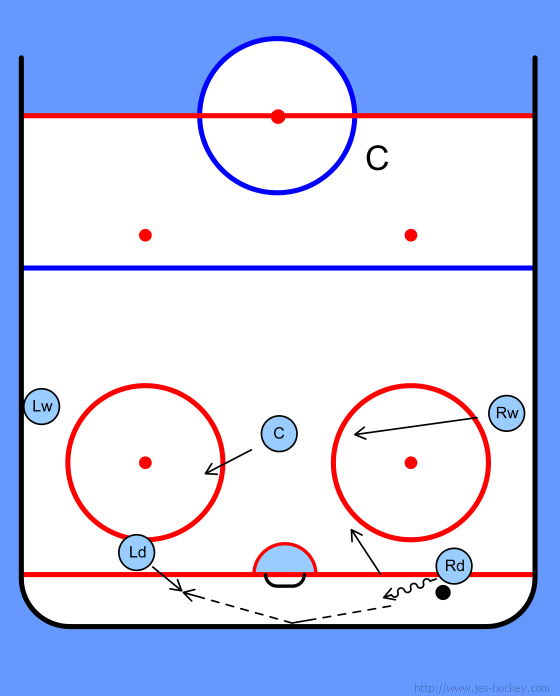 - Puck is passed up to winger on puck side who go towards the pass. - Winger turns and moves up ice passing the puck to the center who is skating down in the middle of the ice. Players skate to breakout positions. Defenseman moves pucks behind the net. Far side winger moves to slot to cover any opponent. Passes puck to other defenseman. Defenseman with puck passes to winger on the puck side. This winger goes to the pass. Winger with puck turns to skate down ice heading for center ice with puck. 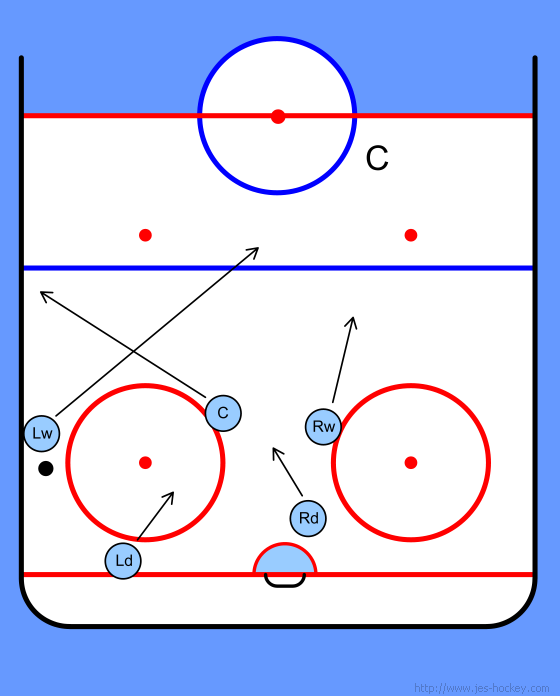 Center moves to winger puck side position. Far winger start to breakout. Defense move up slightly to high slot. Winger with puck drop passes to center who heads for the boards. Center carries puck up to pass to winger headed down center ice.